More and more fresh flowers and plants are getting sold through retail. 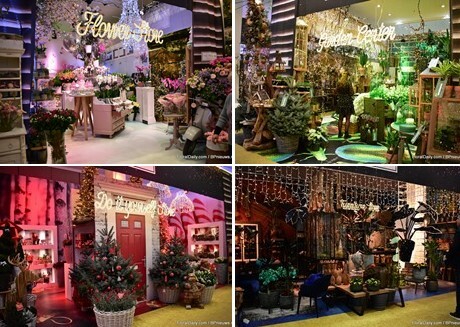 In order to give this trend a boost, for the third year in a row the decoration fair Christmasworld was expanded with a floricultural section called Floradecora. This exhibition aims to be a link between hardware and flowers, which this year was demonstrated through various sales concepts on the new Retail Boulevard. Today is the last day of this five-day event and we were on location to make a photo report. Once again, Floradecora was located in the heart of the Christmasworld fair, in the Galleria at the Frankfurt Messe in Germany. Unlike last year, when the fair took place upstairs, it was housed on the ground floor, on the path that connects a number of Christmasworld halls. In this way, it was impossible for visitors to miss this fresh flowers and plants section. And it was also reflected in this year's visitor numbers that are higher this year than in previous years. Compared to last year, there are fewer flower and plant exhibitors. A few large companies did attend, including Barendsen, Royal FloraHolland and Dümmen Orange. 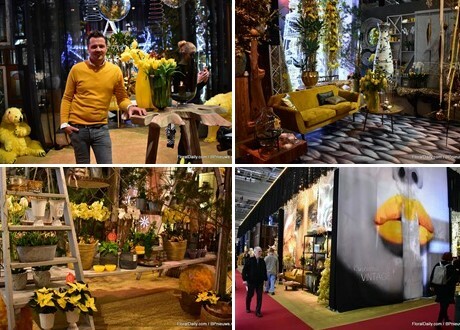 The FloraHolland auction and Dümmen Orange brought some growers along with them and Barendsen presented products in collaboration with Lisianthus Group, Your Lily, De Ruiter and furniture maker Firma Brosi. A new addition to the Floradecora is the Retail Boulevard, which was designed and put together by Rudi Tuinman and Pascal Koeleman from 2Dezign. It's a mock up of a shopping street where the visitor is inspired with different ideas for various shops. Five different pop-up stores were presented in the Retail Boulevard: a Flower Shop, a Supermarket, a Garden Center, a Furniture Store and a DIY Store. 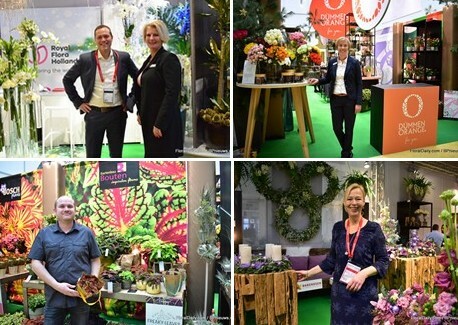 For decoration, the duo of 2Dezign used flowers and plants from the Floradecora participants, and in the shop the visitors can easily find the suppliers of the products displayed by fair exhibitors as the labels show the exhibitor name, hall and booth number. The well-attended Floradecora and Retail Boulevard resulted in enthusiasm among exhibitors and visitors. "We have had many well-known customers in our stand that we always like to talk to in person and we also made a lot of valuable new contacts," says Corline Haakman of Barendsen. The new introductions and ideas were well received. "The draceana of Piet Vijverberg in gold, black, silver and bronze as a new Christmas tree was very well received by the furniture industry. As well as the new way of selling plants in themes from Edeltrend and the formula thinking by LG attracted several large retail customers," says Pascal. In addition, Christmasworld is a real 'order' exhibition and from the very first day orders were being taken at Floradecora. According to Pascal, Floradecora and the Retail Boulevard were a success. "The Floradecora will definitely take place again and the Retail Boulevard will also see a repeat, maybe even in the Netherlands," says Pascal. This year, Rudi and Pascal from 2Dezign once again pulled out all the stops to create a special and inspiring display, combining Christmas decorations with fresh flowers and plants. The duo has been doing this for almost 10 years for Christmasworld and every year the theme is different. This year's theme is Kinemona Vintage. Kinemona is Hawaiian for saffron yellow, which this year is the theme color of Christmasworld 2019. And according to Rudi it was quite a challenge, especially for the flowers and plants. "Yellow in flowers and plants is often associated with Easter, but not with Christmas at all. By working with yellow, black and gold we try to get the Christmas atmosphere." The reactions were very positive. "Yellow as a Christmas color was received very enthusiastically and we even expect that in 5 years it could be commercial," says Pascal Koeleman.